Wessex Water are installing a section of essential new public sewer on Whitsbury Road, Fordingbridge. Most of the work will take place within the public highway, however a short stretch of the sewer will need to be laid within public open space to the north of Parsonage Park Drive. It will be necessary to remove two mature trees ahead of the work, which will be replaced with a heavy standard Oak trees or Hornbeams in the first appropriate planting season once the works are complete. In addition, Wessex Water will undertake scrub clearance as part of the landscape enhancement of the green space. It is anticipated that there will be a long term benefit to Fordingbridge in terms of provision of new infrastructure, scrub clearance and new tree planting. Monday to Friday from 10.00am to 4.00pm. During the transitional period, keys for hall bookings will still be available at the Town Hall for collection. 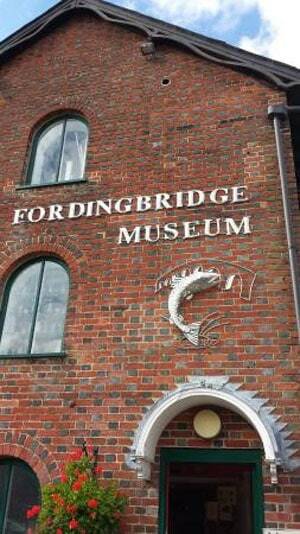 Fordingbridge is recorded in the Domesday Book of 1086 under the name Forde. The town lies on the banks of the River Avon in Hampshire and has a population of approximately 5,700 people. A major feature of the town is the 7 arched bridge. For details about retailers and services the Fordingbridge Town Centre Shopping is a good source of information on food and drink, health and wellbeing, house and home, leisure and local interest, professional and financial services and vehicles, and includes a useful map. Until further notice, the Information Office will be open 10.00am – 4.00pm, Monday to Friday (Excluding public holidays). Have a few hours to give to something worthwhile? Interested in your local heritage? You’ll be in great company and never left to work alone. No prior knowledge is required as full training provided.